Alright, Cowboy fans, Two-minute Warning! 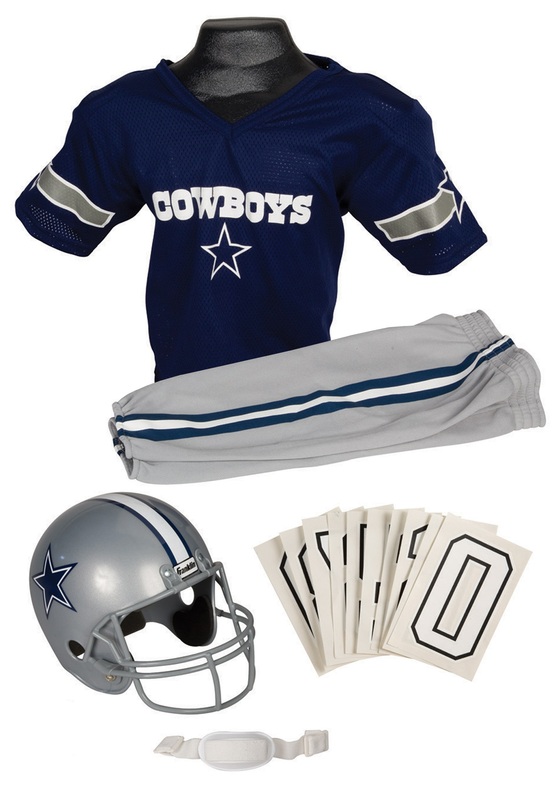 It's time for you to rally up and show your Dallas pride, and there's no better way to do that than when you're wearing this awesome officially licensed NFL Cowboys Uniform Costume! Being a die-hard fan of the Dallas Cowboys is more than just a hobby; it's a way of life! Yes'sir, when those tough guys storm the field in their steely silver and blue uniforms, you just know whichever team they are playing against has got a big fight ahead of them. You also know you're in for a good show, too. What other pro football team out there has a cheerleader squad that's just as popular as the football team, itself?? That's right, none of them do! And since the team hails from the great state of Texas (where everything is bigger) the Cowboys are going to run big plays, score big touchdowns, and hopefully the fans all get to eat extra big stadium hot dogs while they're watching the big game! This costume is the perfect way for any Cowboys fan to watch their favorite team. The jersey and pants are designed with royal blue and silvery gray details, just like a real uniform. And the included matching helmet featuring a big blue Texas star decal is the perfect headgear for cheering Dallas on toward another win! This was of better quality than expected. Very cute costume and of high enough quality that it could be worn throughout the year (game days).